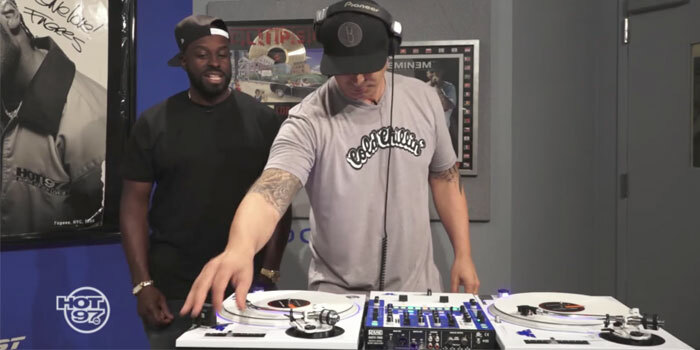 Before playing music in any Serato software, it is essential to analyze your music files. The analyze files function processes the music in your library to detect file corruption, build and save waveform overview to an ID3 tag, and calculate auto-gain, key and BPM values (if these options are selected). To analyze files you will need to run your Serato software in Offline mode. Disconnect your Serato DJ hardware and you will see the Analyze Filesbutton appear above the library. Click the Analyze Files button to start the analysis of all the music that has been added to your Serato library. Each time you use the Analyze Files function, Serato software will only analyze files that have not previously been analyzed. You can stop the Analyse Files process at any time by clicking the Anaylze Files button again. TIP: If the software starts analyzing files which you know have already been analyzed, stop the process by clicking the Analyze Files button. Next, click the Rescan ID3 Tags button found within the Files panel and allow it to finish. This will ensure that only non-analyzed files get processed. You can now start the analyzing process again. You can also drag and drop individual folders or crates onto the Analyze Files button to force the software to analyze only these files. This is a quick way to make sure all your important folders are analysed when getting ready for a gig. When the analyze files function starts, the number of files that need to be analyzed are shown within the upper left corner of the panel. The track name (and location) are displayed in the bars immediately above the button. The first bar shows track reading progress, the second bar shows waveform overview building, corruption/damage detection, auto-gain and BPM calculation, and the third bar shows tag writing progress. Depending on how many files need processing, file analysis may take a while to complete. If at any time you need to stop the process, simply click the Analyze Files again. When you're ready to continue the process, click the Analyze File button and the analyzer will pick up where it left off. If you are unable to complete the analysing of your files, then we would recommend viewing the article explaining how to resolve this: Troubleshooting freezing and crashing while Analyzing Files. Click the Analysis Settings button to open configurable options for your analyzation. Here you can choose what kind of track information Serato DJ will analyze. Checking Set Key will detect a key from the track and add key tag data to the track. Key display options can be found in the SETUP screen, under the "Library + Display" tab. Checking Set Beat Grid/BPM will detect the tracks BPM and create a beat grid. If you know your file’s BPM will fall within a certain range, use the BPM Range drop down to avoid double or half value BPMs being calculated. The auto BPM function will not be applied if the track already contains BPM information. If you know the current BPM information is wrong, double click on the BPM tag for the track and delete the BPM value before re-analyzing. To re-analyze these files and calculate an auto BPM or auto gain value, drag them onto the Analyze Files button. Clicking Analyze Entire Library will remove analysation data from all your tracks and force Serato DJ to analyse all of your tracks again. 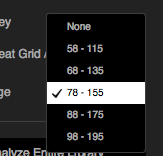 If "Set Beat Grid/BPM" is checked you will lose any edited beatgrids. TIP: You can also CTRL + Click the Analyze Files button to force analyse all your tracks. If a corrupt file is detected during analysis, your Serato software will tag the track with a corrupt file icon. It is very important that you delete ANY corrupt files from your library as they can cause the software to crash regardless if you play the file or not. To delete a song from the library, click on the song to select it and use the keyboard shortcut Control + Delete (make sure the 'Protect Library' option within the setup screen Library tab is off). If you have a corrupt file in your library, hover your mouse over the status icon (lightning bolt icon) for more information about the specific corruption type. It is best to replace these corrupt files as soon as possible. This MP3 contains frames which do not conform strictly to the official MP3 specification. The software can not be certain that this file will play back 100% accurately. Corrupt file: This MP3 contains frames with corrupt data. Decoding of an MPEG audio frame failed. This means that the frame contained invalid data. As usual with corrupt frames, this frame will be played as silence. Corrupt file: This MP3 lost syncronization between the frame index and the frames. The Serato software is reading an old overview of an MP3 that has been edited in a third party editing program. Re-building the overviews for the affected files usually corrects this error. Corrupt file: This MP3 is completely invalid and is not playable. Self explanatory. Possible causes are disk bad sectors, file system corruption, wrong file types, wrong file extensions, etc. 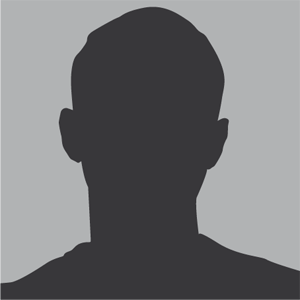 Corrupt file: This file contains invalid audio data. The software encountered invalid data while looking for audio in this file. This message alerts you to the fact that the file you're trying to play contains corrupt data. This may, or may not, affect playback. Corrupt file: This MP3 contains no valid frames. No audio could be found in this file, which means it is completely unplayable as far as the software is concerned. Please make sure this really is an audio file. Unsupported file: This MP3 contains multiple layers. While scanning this file, the software found frames belonging to multiple MPEG layers. Serato software does not support MP3s containing frames from multiple layers – some frames may output as silence. Unsupported file: This file is more than 2 GB in size. Self explanatory. At the moment, Serato software does not support files that are 2 GB in size (or larger). Unsupported file: This file has data blocks greater than 2 GB in size. This file contains chunks of data that are larger than 2 GB. Serato software does not support files that are more than 2 GB in size. Corrupt file: This WAV contains no valid chunks. This WAV file contains no recognizable WAV data. It is quite possible that this might not be a WAV file. Unsupported file: This file's data is not in PCM format. WAV files can contain data in several formats. 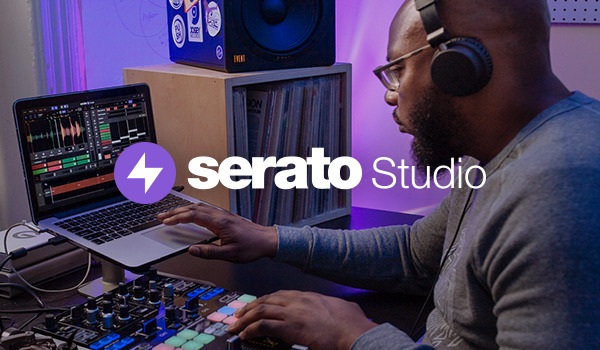 Serato software only supports WAV files that contain data in the PCM format. Unsupported file: This file has a sampling rate greater than 48 kHz. Serato software does not support sampling rates greater than 48 kHz. If you see this message, the simplest approach is to re-sample the audio at 48 kHz and re-save the file. Unsupported file: This file uses more than 24 bits per sample. 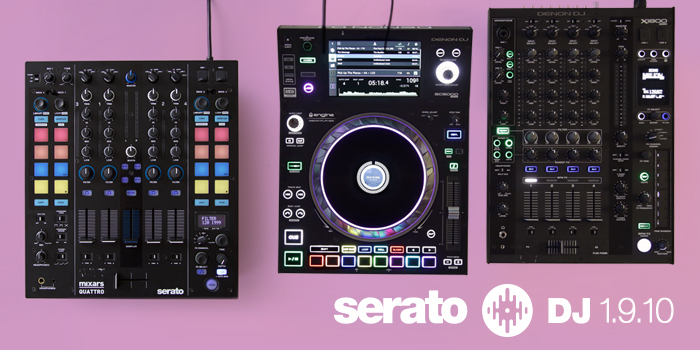 Serato software supports a maximum of 24 bits per sample of audio data. It will load the waveform but the autogain won't be set. You would have to reload the track in order to be completely analyzed if you do it that way. However sometimes this doesn't analyze the key correctly or the gain, so I recommend to analyze it in offline mode. Ok - got it! Will the beatgrids be set when loading an unalyzed track on a virtual deck (while on the fly), the sane way it would when in offline mode? Can you tell me how (or link a video, that shows how, if it exists) to customize beatgrids for older, or live, tracks that DON'T have a steady beat? Most recently produced tracks (made with software) stick to the same exact bpm throughout the ENTIRE track. But, there are SO many tracks (e.g. disco, rock, jazz and so on, whose beats are "off". Is there a way of fixing this so that mixing, looping etc can henceforth be in perfect sync? The ultimate, absolute best-case scenario, would be for Serato to automatically scan/analyze the entire track and create a NEW version of it where all beats would be in perfect sync. But, if that's not possible (intellectual rights of meddling with an original recording bla bla bla), maybe a "fixed" version only accessible/playable through sdj; that could rectify all "imperfections" (with regards to perfect mixing)? Something like serato flip does, in essence...?